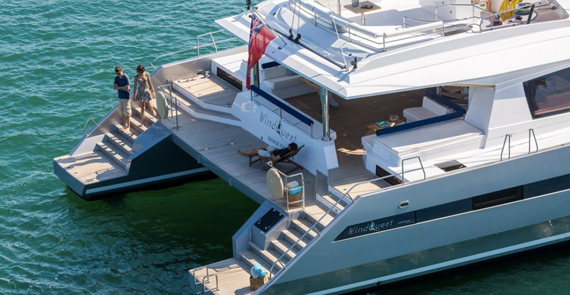 The 221.46ft /67.5m Custom motor yacht 'Icon' was built in 2010 by Icon Yachts and last refitted in 2014. The yacht's interior has been designed by Studio Linse and her exterior styling is by Redman Whiteley Dixon. New 85ft Catamaran available for charter this winter in the Caribbean. Huge volume comparable to a 125ft motor yacht. Built by JFA Yachts France to a very high standard this yacht has it all. 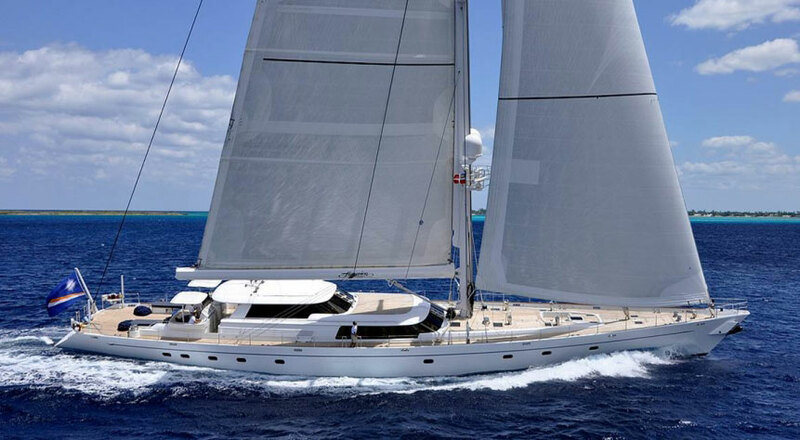 This 47 meter (155' 6") sailing superyacht was built by Royal Huisman and designed by German Frers. This groundbreaker was awarded the prestigious Showboats International Award for "Best Sailing Yacht Over 38m." Ultra Marine Yacht Charters represents ALL crewed luxury motor charter yachts and sailing charter yachts all over the world. With thousands of charter yachts and yacht charter agencies visible all over the Internet, it's easy to get lost and confused. Don't worry - we will sort it all out for you. If this is your first experience wishing to charter a yacht, you have come to the right place. Find out why we are different from other yacht charter agents. Whether it's a mega yacht or super yacht, motor yacht or a sailing yacht or catamaran, modern or classic style yacht, Ultra Marine Yacht Charters specializes in arranging your yacht charter holiday aboard the world's top yachts in Italy, France, Greece, Turkey, Croatia, the Caribbean, Florida, Bahamas, New England, Northern Europe, Alaska, Mexico, Seychelles, Maldives, Thailand, Tahiti, Australia, New Zealand, Fiji and further afield. pre and post hotels reservations or villas and private island rentals for your guest overflow, we do it all to make your yacht charter holiday a spectacular experience. Private yacht charters are most popular for family reunions and get-togethers, corporate retreats, venues such as the Monaco Grand Prix and the Cannes Film Festival, Scuba diving escapes or historical exploration in locations only accessible by private yacht charter. If you need help deciding which will be the best charter yacht destination Ultra Marine Yacht Charters is your yacht charter vacation source. We will assist with arranging all the details of your luxury yacht vacation. For your ultra luxury yacht vacation onboard a private yacht charter in chic and popular yacht charter vacation destinations all you need is one source, Ultra Marine Yacht Charters, the yacht charter experts. Select from our distinctive portfolio of hundreds of the finest mega yacht charter boats, super yacht charter yachts and luxury private yacht charter boats. Search, imagine, dream and contact us to plan your private yacht charter holiday today.